Liturgical color is red or purple. 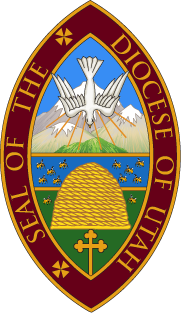 The convention for the Episcopal Diocese of Utah will be held April 26-27, 2019, at St. Mark’s Cathedral in Salt Lake City. Registration, a convention fact sheet, tentative schedule, nominations and resolutions are posted to the diocesan website's convention page. This convention, among other elections, we will be electing deputies to General Convention 2021, which will be held June 30th through July 9th in Baltimore, Maryland. There will be four deputies from each order (cleric and lay) and four alternates for each. Under the resolution passed at the 2017 Diocesan Convention, the diocese will reimburse reasonable expenses for all deputies and the first alternate from each order who attends the full General Convention. Pursuant to resolution, no other alternates from either order will receive reimbursement for any expenses or compensation to attend the convention. The Rt. Rev. Scott B. Hayashi has taken orders for the ordination of The Rev. Copeland Johnston and The Rev. Guilherme de Azevedo to be priests of The Episcopal Church. 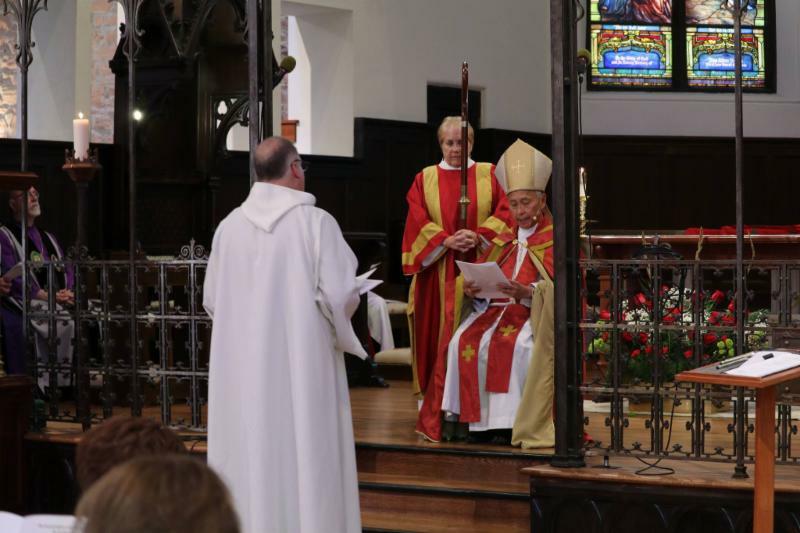 The bishop has also taken order for the ordination of Elizabeth Harden to the Transitional Diaconate. The Services of Ordination will be on April 27 at The Cathedral Church of St. Mark at our Diocesan Convention Eucharist. 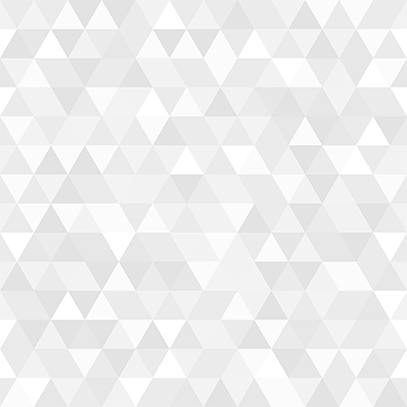 Below are links to download the most updated versions of the vetted resolutions for diocesan convention floor debate. 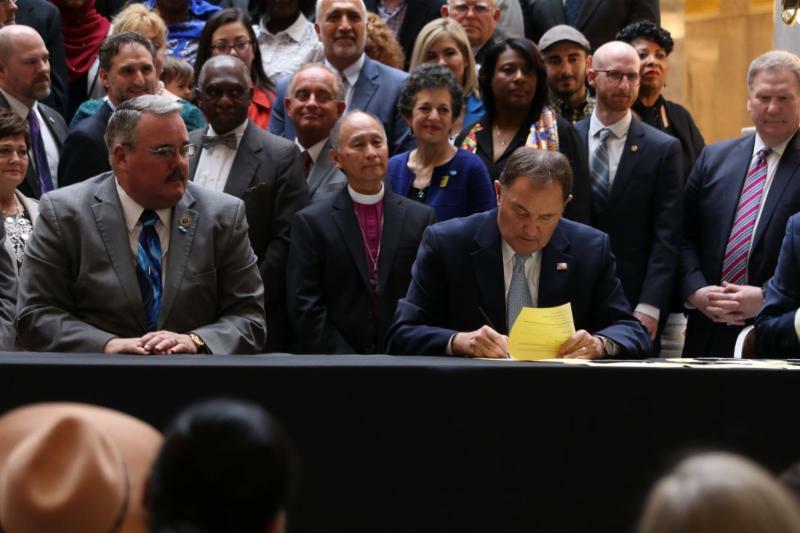 On Tuesday, April 2nd, Governor Herbert signed into Utah Law SB103 which allows for people who commit crimes motivated by hate towards a person or community on the basis of ethnicity, religion, sexual orientation and gender identity to be prosecuted as a hate crime. This has been a long time coming in Utah. The first attempt at passing hate crimes legislation in Utah was in the 1990's. It has been brought up repeatedly throughout the years and, until 2019, has failed to pass. 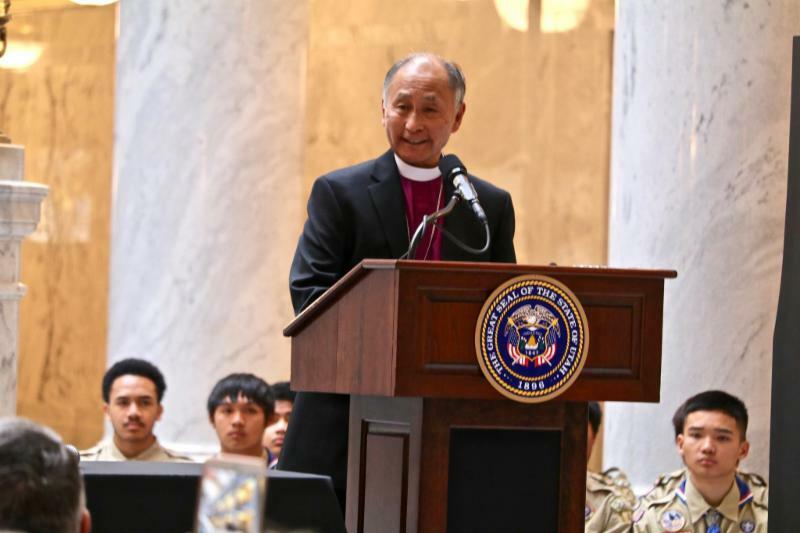 Bishop Hayashi, who has been a longtime advocate of this bill, spoke at the signing. He said, "I have a religious duty to do all that I can to make sure that my brothers and sisters whether they be Muslims, Jews, Buddhists, Latter-day Saints, all regardless of ethnic heritage, gender identification, sexual orientation will be able to live and worship without fear. Our duty as religious people is to work to help our brothers and sisters who do not share the same tradition to be free from fear because of who they are. By doing this we will help make our state be one that is loving, liberating and life giving for all." To read his full statement, click here. 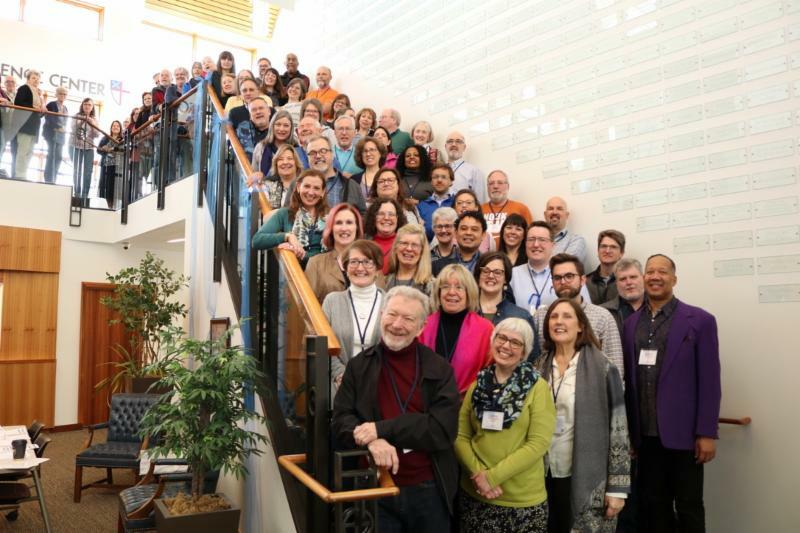 Transition officers and ministers from throughout the entire Episcopal Church spent four days at the Episcopal Church Center of Utah discussing trends, issues and discernment in aiding congregations, ministries and people who are seeking new callings. Each diocese has a person responsible for helping churches and ministries find ordained leaders and assessing compatible skills and needs. Times of transition between clerics is often a difficult time. One-hundred dioceses were represented at the Salt Lake City gathering. The Episcopal Church is also in a time of transition, which was also a major discussion area in the Salt Lake City meeting. Two-thirds of active clerics are 55-years-old and older. Retirements are outpacing ordinations. Additionally, the church is calling more bi-vocational and part-time clerics for service. The Diocese of Utah launched a new podcast "The Utah Epodcopalians," designed to reflect on the Episcopal Church in our unique land of Utah. Podcast episode one, "The First Visit to Church" explores how visitors and newcomers view the church and how the church can do better in explaining its inclusivity as well as its ritualistic worship. 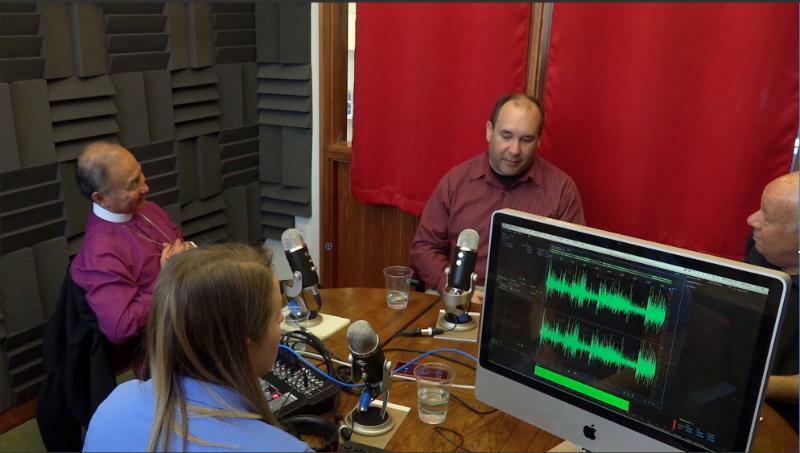 ﻿The episode is available at episcopal-ut.org/podcast , as well as on Podbean and Spotify. It will be available on iTunes soon. The next episode, debuting April 15th, aims to explain the many worship services of Holy Week in only thirty minutes (or so.) Bishop Scott B. Hayashi offers insight into each service and how the experiences and traditions of each one lead up to the celebration of Easter. Utah Epodcopalians will be released on a bi-monthly basis. If you have feedback, or ideas for topics/guests, please email Craig Wirth or Halee Oliver . 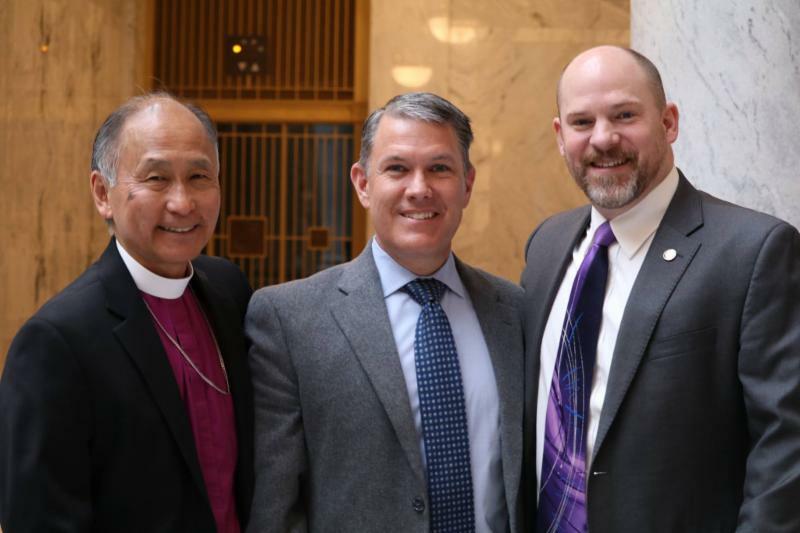 Bishop Scott B. Hayashi has selected The Rev. Terri Heyduk to join the diocesan staff as Transition Officer and to provide other assistance to congregations and ministries. The transition ministry is primarily designed to help those churches and ministries that are seeking new clerics. The priest retired from serving the diocese the last several years in interim positions at St. Paul’s, Salt Lake City, and St. James, Midvale. 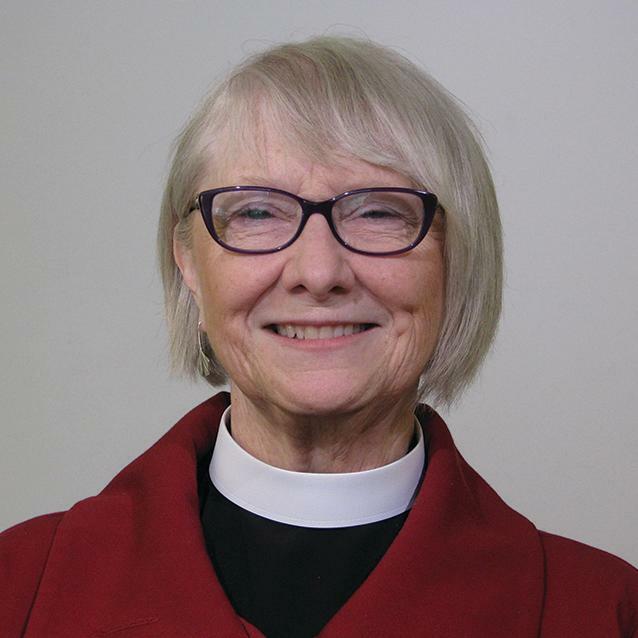 Both churches offered praise and thanksgiving for her ministry and the Bishop has retained her on a part-time basis to come out of retirement. The Rev. Heyduk also spearheaded the 150th celebration committee of the Episcopal Diocese and the recent ‘Souper Bowl of Caring' drive. On Saturday, March 30, 160 women gathered for a Day of Service, called "Many Faiths, One Heart," at The Episcopal Church of the Resurrection in Centerville. Three hours later we had completed 5 mats (woven from plastic bags!) to offer to those sleeping on the street to insulate them from the cold ground. We crocheted rugs and tied together hats for newborns. We sorted toys that Lincoln Elementary School teachers could offer their students as learning incentives. We made about 200 new grocery totes out of old t-shirts. We also put together snack packets of cheer for Fisher House, a place that houses those receiving treatment at the VA and their families. ﻿This event was the product of months of planning by a group of women from different faith backgrounds: Episcopal, United Church of Christ, Roman Catholic as well as women of the Church of Jesus Christ of Latter-day Saints. The work entailed researching service projects, gathering resources, getting the word out --- and getting to know each other better as people who love God and wish to serve God by serving our neighbors. The Many Faiths, One Heart project grew out of a desire to come together as women of faith and has become a force for friendship and the common good in South Davis County. We hope to expand our circle of service in the years to come. The planning group will most likely take a break until after the summer. But then they'll get to work on the next Annual Day of Service to keep this fun faith/service/friendship momentum going! The diocesan youth spring retreat for grades 6-12 is happening May 3rd - 5th in Moab. Participating youth will be rafting down the Colorado river for a half day rafting trip with lunch on the river. 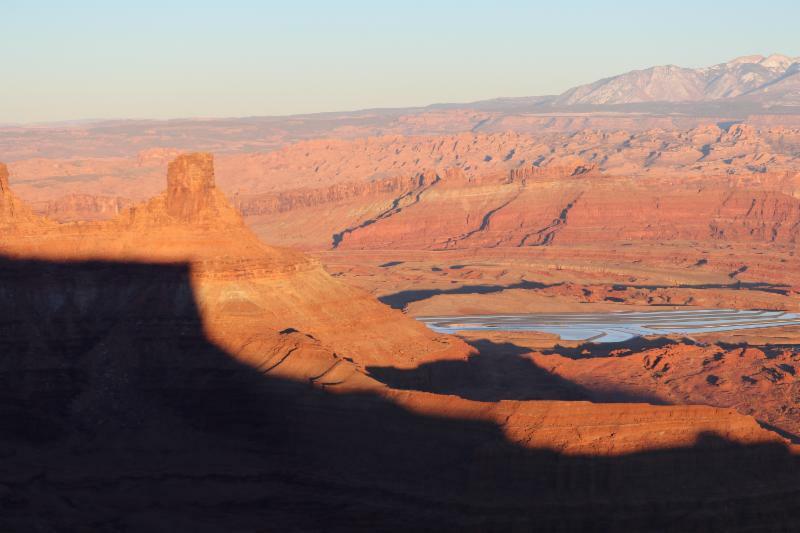 There will also be a sunset hike into Arches National Park. 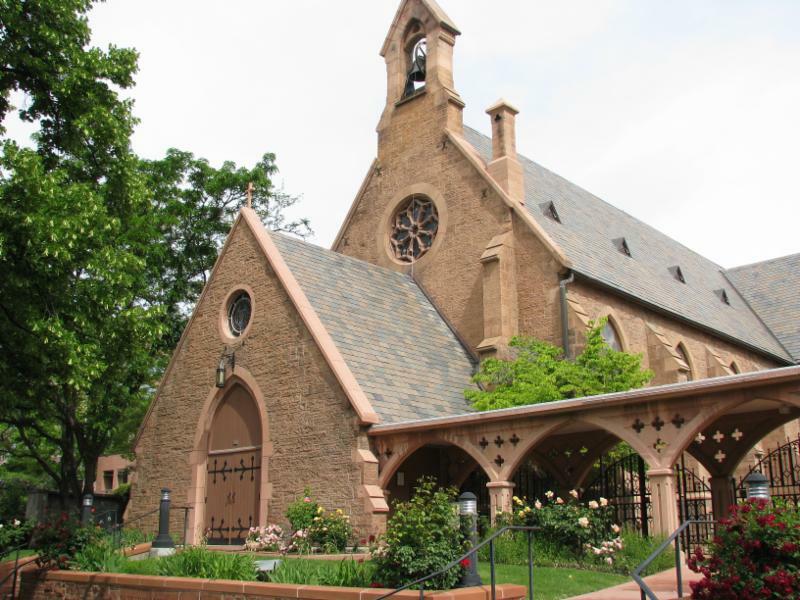 Youth and leaders will stay at St. Francis Episcopal Church in Moab. As we observe Lent, we are aware the end of our solemn reflections brings the gift of the Resurrection and Easter Sunday. 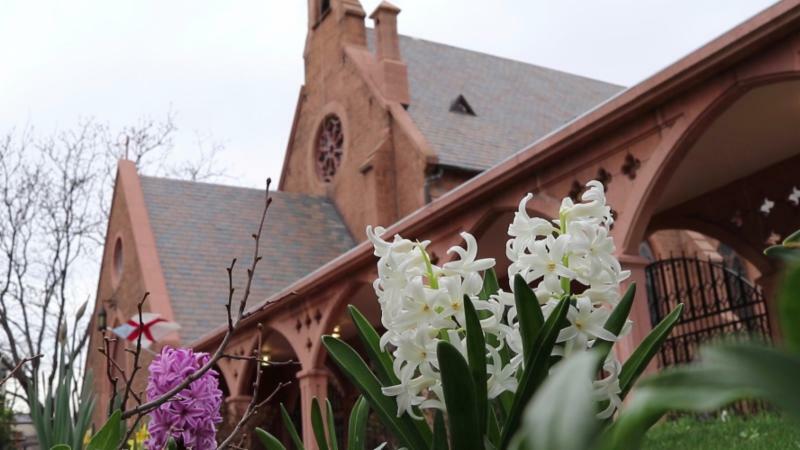 Once again, the diocese will livestream the Festive Easter Eucharist from the historic Cathedral Church of St. Mark. More details will be forthcoming. 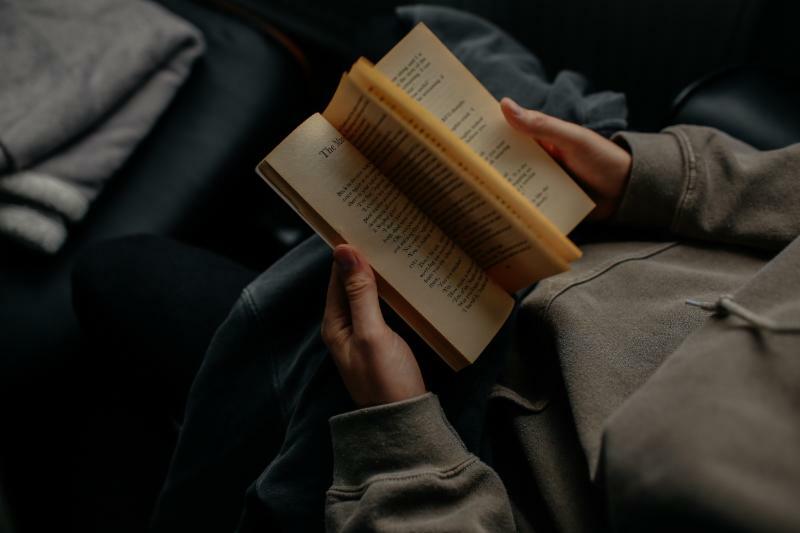 The diocesan book club meets weekly at the ECCU. Everyone is welcome! The group chooses books from a wide range of interests. Our current book is “The Soul of America” by Jon Meacham. The assignment for Monday, April 15th is Chapter 5, pp.137-172 and about one chapter a week afterwards. Please contact Ernie Hale at erniehale@gmail.com or 801-532-6406 for further information. 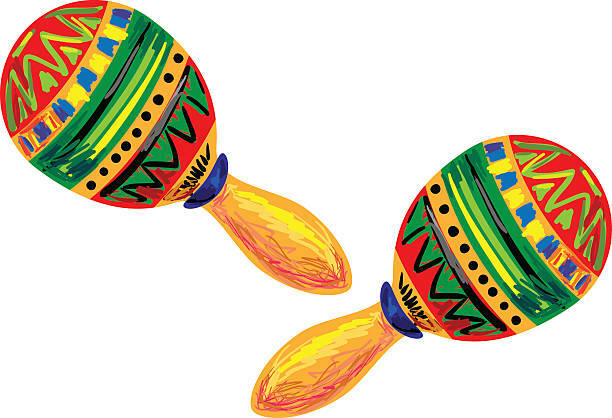 Join San Esteban and St. Stephens for music, food, and dancing on Cinco de Mayo.